The perfect way to sample the Beautysphere’s leader in luminosity (and take your glow-giver with you everywhere), this clutch bag-compatible serving of BECCA’s best-loved Shimmering Skin Perfector lends skin a beautiful, backlit lustre without a trace of tell-tale glitter. With ‘Moonstone’, ‘Opal’, ‘Rose Gold’, ‘Vanilla Quartz’ and 'Champagne Pop' shade options, you’ll be sure to find your ultimate face flatterer. So stunning, I love it, it’s really small but perfect for travelling and keeping in your bag. I got opal because basically every you-tuber says it’s gorgeous and it really didn’t disappoint. I love highlight but I find loads are glittery which I don’t like during the day, I love that this isn’t chunky glitter it’s more reflective. Not as blinding as expected bus definitely buildable. Would definitely recommend. Champagne pop min: Fell out of the pan soon and broke into several pieces soon as I opneed it. Its unusable now. I feel so gutted. I was thinking of returning it but it happened soon as I opened it at home. Really was looking forward to using it as I have the becca skin perfector in opal and rose gold both which have been my go to highlighters. It's very pigmented and looks beautiful on the skin. I got a small travel pack and it is more than enough for over 6 months. I got the mini because frankly, I'll never make it through a full size one. I have it in Vanilla Quartz and absolutely adore it - with a really light application it just gives a really lovely glow, although you can build it up to be quite blinding if you so choose. For reference my skin is dry and my foundation shade is NC15. The original size is a bit too expensive so I bought the mini (which is still quite pricey for a 2.4g product) buttttt.....this is the best highlighter EVER. Trust me I have tried sooooooooo many drugstore and high end highlighter/highlighter palettes this is definitely the best. It's blinding but not too obvious that your wearing highlight, it's not heavy and it looks like you're naturally glowing from within. I'm kinda fair so I use moonstone and it's perfect. I'm definitely going to buy the full size once I run out. Not really impressed, maybe I bought the wrong colour for my skin tone, however, it has a nice texture and is a subtle highlighter. I love this highlighter. I bought the mini in the colour Opal, thanks to Jamie Genevieve. After watching her apply it and seeing how pretty it was I thought it was definitely for me. A lovely gold shimmer and a little goes a very long way. Catches the light beautifully and nice to wear on summer days or nights out. The packaging is great too. Nice and sturdy with a little mirror included which I didn't expect on the mini. Very pretty product. Opal for fair skin tones! I already had a few of these highlighters and love them all but now I went for "Opal" as I am cool fair toned (Mac NC 10). 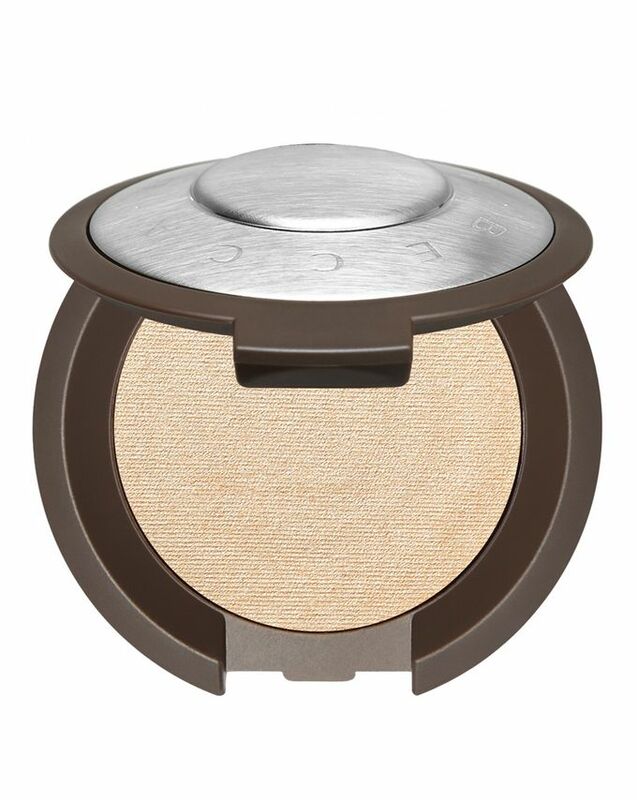 This one is so awesome during summer because it isn´t orange at all and works incredibly well as a popping bronzer! Perfect summer glow for light/fair skin tones. I love it. I have the mini Vanilla Quartz highlighter which is a pale gold with pink reflects. I love this highlighter. I love that the shade shifts colours when the light changes. The formula is typical Becca, a bit powdery but melts into the skin just fine. Love it! And a little goes a long way. I was hesitant to try the full-sized product in this shade, so I took a chance with a mini and was not disappointed. Champagne Pop does work for my light skin. I was afraid it would look "off" like a golden/bronze eyeshadow on my cheek, but it blends into the skin wonderfully. It's my new favourite! This was glittery and chalky and not impressive at all so gutted as I’d heard so many great things but moonstone definitely did not live up to its reputation. Not happy, waste of money. It's very good, that Becca has miniatures. Love my Moonstone highlighter. I recommend it! Beautiful! I was expecting the small size, so not disappointed like some commenters, but do be warned. Have wanted to try Becca highlighters for a while, but didn't want to spend over 30 on something I couldn't swatch first. Beautiful colour, beautiful finish and lovely packaging. Would highly recommend, especially if you don't want to spend the full amount to try the brand. I also don't think it's a waste as I personally have never gotten through a full-size highlighter or blush etc, and a little of this goes a long way! Really wouldn’t waste your money on purchasing these they are tiny and definitely not worth £15! Ordered vanilla quartz and opal. Vanilla quartz is really nice and pigmented but doesn't last all day. Opal is also pigmented but does NOT go with pale skin just looks awful! Again doesn't last all day. Nice everyday/daytime Highlighter for pale skin ( I am Mac NC 10). For Nightouts it could be more glowy but overall a good blendable Highlighter and perfect size for traveling. I am obsessed with this highlighter. As I wanted something natural for every day wear, I bought this product in Moonstone colour. I have fair skin and the Moonstone colour is perfect for me. It gives me a wet look and it is not glittery at all. You can build it up but it is not blinding, so if you are looking for something extra I would recommend the ABH or Jeffree Star. This mini version is perfect if you are not sure about the colour, or if you are like me and have way too many highlighters so the product will not expire before you hit the pan. I truly recommend this highlighter and I plan to buy at least two more shades because this is just what I was looking for. Perfect color for light skin, not too golden and not too frosty, and I usually have troubles with that. So good they have a smaller option like this so you don't have to spend a bunch of money on giant full-sized plate. The minor drawback with that was that it has tiny pieces of glitter in it, and I would prefer a completely smooth shine like one that Blush Duo by Pixi has. However, you can't really see that glitter, and the highlighter looks so, so good, and you can blend it so it will look as if you just went out of the gym and that's your skin shining with sweat. Such a gorgeous, creamy colour with intense pigmentation and blends beautifully. However I am slightly disappointed as I was expecting more of an intense glow. Still lovely though and would highly recommend, it's perfect for daytime! But please bring a blinding highlight out in this shade for us pale babes. I want my glow to enter a room 15 minutes before I do. I feel like I hit the jackpot for my first ever BECCA product. This is a gorgeous, soft, radiant highlighter that elevates any look - when the natural light hits, the iridescence of it is just stunning! I will definitely save my pennies to upgrade to the big one! I bought Moonstone a year ago, and I use it constantly because no other highlighter beats Becca formula! The funny thing is that I haven't gone through this mini travel size version yet. It looks so creamy and beautiful on the skin. Doesn't emphasize texture a lot, and you can add more for a more intense look. 100% recommend! I am always skeptical when buying highlighters online cause you can’t always tell from photos and videos how it will look in real life. This highlighter is absolutely beautiful and lives up to its hype. It does not have any chunky glitter and really does give a beautiful glow. I was recommended to buy a small one as even the travel size one will last for a very long time. I hope it does cause this is an amazing product and I love that it is mini size. Must buy for beauty lovers! If you can’t get the full size I recommend trying the travel size for sure! It’s a little bit glittery (for me) and not that blinding, but I like it. For every day it’s okay. (I've seen better highlighters in drugstores). The best highlighter - I always repurchase. Amazing as an eyeshadow too if you have a base (concealer and setting power works amazing) but they break so easily; so sadly it was here for a good time not a long time. I bought the Champagne Pop in the mini size as I find minis to be perfect for travelling. It is such a gorgeous peachy shade. I am going to buy Opal next. Champagne Pop is quite glittery though. I wasn’t expecting that. I use my Anastasia Beverly Hills Amrezy highlighter everyday - it gives a blinding glow without glitter - which is my personal preference. I love opal, it has a nice glow to it. I don't see the chunkiness or the glitter, its not blinding either. Nice glow on its own, i wear it lightly at work and its noticeable, highly recommend this! Nice product but not without its downfalls. Despite being very intense it's also very glittery which isn't really my scene but my biggest issue was with the texture. These are very creamy and soft but the downside of this is there is so much kickback when you swirl your brush you're constantly wasting product. The real issue though was that I travelled with this in my hand luggage literally once and the formula was so soft it smashed in transit despite being right in the centre on my bag. This also won't be great for you if you have any skin texture as it really emphasises every flaw and pore in your face. I'll definitely use it up but I wouldn't repurchase and will stick to the cream formulas in the future. No wonder so many people are in love with this highlighter, I've become one of them after I purchased it. The shimmer is so delicate yet so satisfying, I don't know how that is possible, but I love it. I have the colour Rose Gold and have fair skin, it is perfect if applied properly. The mini is so suitable for the handbag and the size is satisfying as well. I’m in love with this product. It’s the best highlighter by far and I have all the top end stuff. Champagne pop is my favourite. I have opal too but for my light olive skin, this is excellent. I got Champagne Pop, and as an NC20 looking for a warm toned intense highlighter I got just what I was hoping for! I'll definitely get the full-size version once I pan this. I highly recommend this highlighter, it's so beautiful on my skin and I'm pale and it doesn't leave a cast or stripe on my face and even though it has a golden/pink undertone it blends in so naturally with my skin and looks not fake or patchy in a way that I can apply however much I like. The small pan you get it in but little is more than enough, will definitely be purchasing again once mine runs out. This highlighter is incredible! A good friend of mine recommended it to me when we were on holiday and I just couldn’t resist buying it. I’ve bought the shade Opal and it gives the most amazing glow on the skin! This is exactly what I was looking for. I got this highlighter in the shade moonstone after a long search for a highlight that wouldn't be too dark for my pale skin. I wouldn't say that I'm the palest of the pale but I'm definitely the girl that buys the lightest shade in the drugstore and it's still too dark. This highlight gives you amazing glowy skin without emphasizing your skin texture too much. Also, it isn't glittery it's more metallic I would say. I like this product very much! I have moonstone shade which is a little lighter than my face tone, but because of it this shade highlight and illuminate areas of covering! The product gives middle-intensive shine, but you also can enhance it by additional layers of product! absolutely universal product! What about size - I do not agree that it is too tiny, yes its actually small, but I am sure it has enough of product to use it a long time! I picked this up in the shade Opal ( My shade for reference is an 8 in Magic Foundation and NC42 in MAC) and it adds just the right amount of highlight without looking blinding or out of place. I love the size - because I'm sure it won't go to waste and I can try other shades in the range next. I bought the shade Vanilla Quartz and it's beautiful. Finely milled, has a subtle pink shift and looks great on the pale skin! I don't mind the small size since I knew it was gonna be tiny cos I read the description.. also how often do you go trough a whole highlighter anyway? I give it 4/5 stars cos it doesn't last all day. Amazing highlighter for pale skin and perfect size for travelling. I have gold fair skin tone. the moonstone shade matches. it can make my Asian nose look sculpted in the most natural and subtle way. Very disappointed with the size of the product. I paid £15 and it is smaller then the palm of my hand. Not good. Absolutely beautiful. Perfect for really pale people. Has pink reflects. Shipping was delayed my Hurricane Ophelia, but ah well Idc. 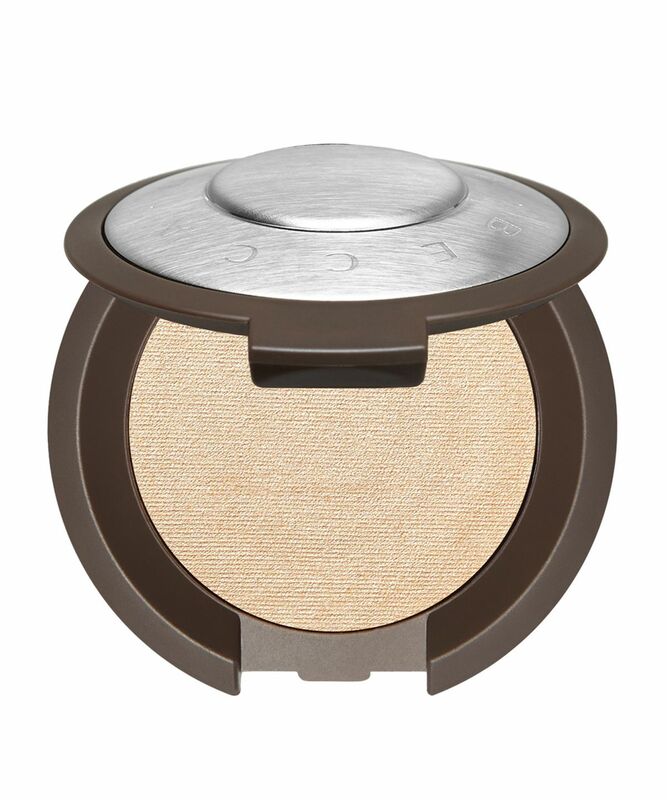 I bought this highlight in moonstone - it was a very light shade without being too silvery which I love for pale skin. It isn’t too glittery, but still has a very strong shimmer. It is extremely bright when first put on, but throughout the day started to fade, however I didn’t use with setting spray so that could be why the colour didn’t stay all day. All in all a beautiful colour and I would highly recommend - just with a setting spray! I bought the Vanilla Quartz one and I'm in love with it. It's perfect for light/cool-toned skin, it seems just an itty bitty deeper than Moonstone (which is weird as Vanilla Quartz seemed way lighter in the pan), coz of the pink shift to it, but same base. This highlighter is everything I was looking for! Not too glittery - just the right amount of glowy pigments. I love this highlighter and is my go to for a subtle glowy look. The only problem is is that it breaks really easily.